The Snack Bowl is a perfect pick for on-the-go parents with young children. Kangovou’s Snack Bowls are small enough to fit into any backpack, purse, or lunch box and are able to be sealed tightly to avoid any inconvenient spills. The versatile, double insulated bowl makes it easy to store any light snack for later—yogurt, fruits, veggies, crackers, bread, soup, pasta, you name it! 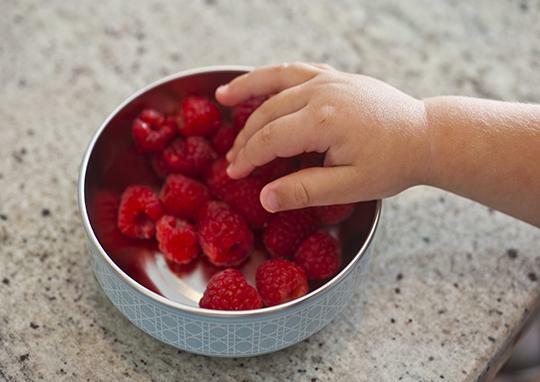 All Snack Bowls are made with a non-toxic, non-leaching cover and steel insulation to protect little hands from heat and furniture from condensation. The Kangovou Snack Bowl is fit for carrying snacks wherever you go. 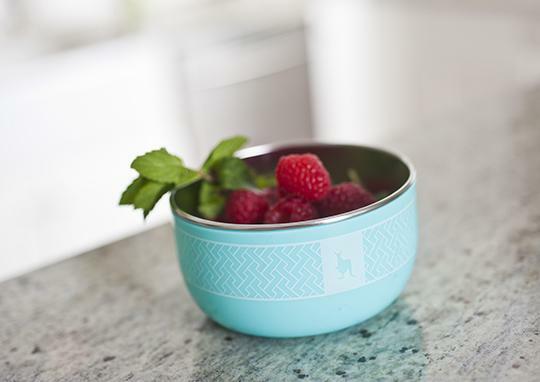 Able to hold a variety of foods, this non-toxic Snack Bowl is able to keep food fresh and ready to eat at any time during the day. It is dishwasher safe, rust resistant, and stain resistant, allowing it to remain clean after multiple washes. It can hold any kind of food imaginable, from fruits and vegetables to soups. With the Kangovou Snack Bowl, you can be sure that you’ll have happy eatings while on the go. 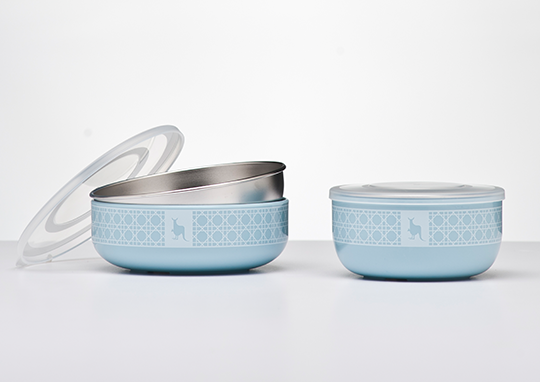 The Snack Bowl is made up of 18/8 food grade stainless steel and BPA, PVC, and phthalate free non-toxic plastic. The outer cover of the Snack Bowl ensures that the food inside is well insulated while also keeping the heat off of the actual bowl, allowing you to carry it without hurting yourself. The bowl is durable and long lasting because of the materials it’s made up of and provides better insulation than non-Kangovou snack bowls. It also comes with a clear lid you can snap on to easily see what’s inside. 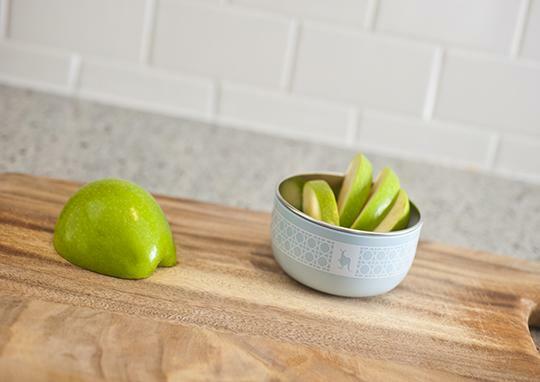 The Kangovou Snack Bowl upholds safety and durability, allowing for people to snack on the go. When looking into products for your family, it is important to consider all of the facets of the product. With plastics, the best way to go is to look for the safest, most effective products and then make the decision. Kangovou is one of the top producers of safe plasticware products, especially when it comes to the price to safety ratio. Kangovou products are likely to last through toddlerhood and beyond, making the investment into Kangovou products a beneficial one for all family members. Whether the product is for an adult or a young child, the Snack Bowl is ideal for carrying around all snacks and 2 o’clock pick-me-ups. Instead of reaching for the risky plastic containers, try out some of the safest and most effective plastic products on the market! The Kangovou Snack Bowl is a great option for snackers of any age! With tons of colors to choose from, and plenty of other products to enjoy, Kangovou is a great option for the whole family! This cup is the perfect size for my toddler’s morning oatmeal or yogurt, afternoon snack, anything. The lid actually stays on if I load it up with fruit and throw it in the diaper bag. I particularly like serving his heated foods in this instead of a plastic or melamine bowl. Very easy to clean and my son likes to play with it too. I don’t need to worry about using it for hot soup or pasta. Great bowl , durable and nice design . Perfect for dry snacks and fruits on the go . Light weight and cute design. Great quality and the lid closes perfectly. This is high quality stuff.